I've watched Rachel Roddy's writing develop from her Rachel Eats blog, which she started in 2008, so I couldn't wait to get my hands on her first book. As always, I endeavour to be objective in my review and I loved the writing which feels so familiar. Five Quarters may seem a strange title but it's easily explained. The number five recurs as the book goes along but Quinto Quarto (the Fifth Quarter) is the name of the distinctive style of cooking created by the workers at the Testaccio slaughterhouse towards the end of the 19th century. Wages were partly paid in-kind with offal. This being a quarter of the animals weight, it was known as the 'fifth quarter'. The slaughterhouse is long gone and, no, this is not a book about offal, but it is firmly rooted in the Testaccio quarter of the city of Rome which this Englishwoman calls home. The "notes" referred to in the sub-title are as delicious as the "recipes". Arriving in Rome, almost by accident, the tourist decided to stay a while in a tiny flat above a bakery, next to the "coarse and chaotic" old food market. As she began to get under the skin of this "straightforward, traditional, ordinary" part of Rome, a sense of guilt that she was part of the gentrification taking place in the area led her to resolve to buy local and truly embrace the life of this quarter and its "fierce sense of community". A daily presence at the next-door market with its families of traders, negotiating the "clusters of chattering signore" in the streets she drinks coffee in the same bar every morning. And then she fell in love with Vincenzo, a Sicilian with beautiful, strong hands. A golden-haired baby boy, Luca, arrived in 2012, anchoring her ever more strongly as she became truly a Testaccio local. This is not a book about 'my beautiful life in Rome'. The reality is, life is as messy as the food market at the heart of the book. Certainly it's about hauling bags of produce home to cook in a tiny apartment kitchen. It's also about the life of Testaccio, particularly the market, and the people who make it possible to live in the chaos of a city. There's the Sartor family butchery, Mauro the fishmonger, Gianluca and Giancarlo the fruit and veg sellers, Augusto at Trattoria La Torricella and the numerous independent shop-owners of the quarter. Friends, neighbours, acquaintances, and even strangers are ever-willing to offer advice. It's about forgetting what you thought you knew about 'Italian' food and watching, listening, questioning and cooking dishes again and again to re-learn how to cook it, here, in this extraordinary place. 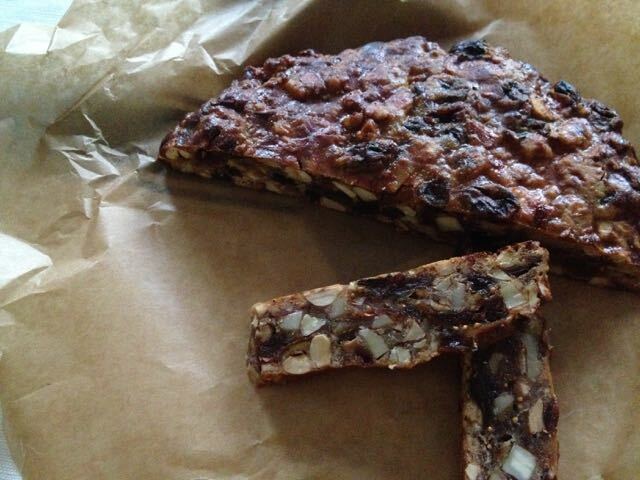 For nine years she gradually gathered understanding along with ingredients. She began to notice the differences, and the similarities, with English food; particularly with the simply prepared food of her roots in Northern England - slow braising of cheaper cuts of meat, the use of offal and the love of jam tarts and of spiced fruit cakes. Cooked and photographed in real time, the recipes are based on a year in this "Kitchen in Rome". Pleasingly, there are five chapters, just as there should be five course to an Italian meal. Each chapter is enticingly seasoned with helpful advice, observation and anecdote and spiced with a little Roman history. There's also a generous sprinkling of good sense. Advice and useful information, which can only come from someone who has cooked the same recipes over and over again, comes thick and fast yet it feels like a two-way conversation. It's far from 'preachy' or 'know-it-all' but is generous and sharing. The Italian names for the dishes in the book are far more poetic, but here I use English titles for brevity. Chapter 1 - Antipasti - starts, as the Romans frequently do, with Broad Beans and Pecorino, simply a pile of young fresh beans to be podded at the table alongside a chunk of, preferably, sharp sheep's milk cheese. There's Deep Fried Artichokes, Ricotta and Spinach Fritters and Panzanella. Octopus and potato salad features with instructions for how to cook your octopus - and how, based on much advice, trial and error, not to cook your octopus! Chapter 2 covers Soup & Pasta. We learn that the soup, or minestre can be simple or complex and is one of the few foods that Romans do not have a definitive recipe for, rather minestre is a dish you make your own; "the embodiment of childhood nourishment and comfort". Here is Fettucine with rich meat sauce, Spaghetti with clams and how to make Potato dumplings (Gnocchi). A chapter on Meat & Fish reminds that "Good Roman cooking, like any good, popular cooking, is homely and rooted in tradition..... makes virtue out of necessity and makes things taste as good as they possibly can". Making a little go a long way, particularly when it comes to meat, is a Northern England virtue as well as a Roman one. There's Meatballs in tomato sauce or Roman-style tripe. Fish is introduced by a story familiar to most of us, the quest for a good fishmonger. There's a Pot of mussels, Salt cod with tomatoes, raisins and pine nuts, and a Roman Jewish dish of Miriam's bream baked with potatoes. Chapter 4 is the Vegetable course. Mostly treated as a separate course in Rome, though, served in larger portions, they can also take the place of the meat or fish course. Many of the dishes can be prepared ahead, and some benefit from doing so, and with the addition of bread, eggs or cheese, they become a meal in themselves. If I'd had this book a few weeks ago I would not have been confused by the large, hairy green Italian leaves at my London market that turned out to be borage - so different from our English borage which we tend to value more for its electric blue flowers. It's in this chapter that Rachel's favourite English writers continue to influence her cooking in Rome, but when it's the likes of Jane Grigson and Simon Hopkinson, it's no wonder. There are recipes for Greens with garlic and chilli, adaptable to whatever greens you can get; Eggs in sauce, Roman-style artichokes; and Fennel baked with Parmesan. To finish with there's Dolci. Often it's seasonal fruit. Wedges of pellucid, ruby-red, watermelon; Pale green figs with, "if you're lucky, a teardrop of nectar at the tip of the stalk"; fragrant cantaloupe melons; apricots, peaches, nespole or cherries and plums. Here you'll find a recipe for Spiced quinces in syrup, wobbly Panna Cotta; slushy, coarse-textured Granita di melone; Kitty's vanilla ice-cream scented with citrus; and Cherry jam tart. If you're hungry for more, there are delicious crisp little Ring biscuits with wine and fennel seeds and Angel Wings and much, much more. I have already cooked four recipes from this book. There is, mercifully, no striving for novelty in them. If you are looking for innovation, you are missing the point of the book. Instead, expect tried and tested dishes, recipes that really work and dishes that are delicious to eat. You'll learn a lot along the way and enjoy a damn fine read. This is a book which will stay in my kitchen. Most of the photography in the book is by the author. This reinforces its authenticity as the cooking and photography was done in real time - shop, cook, eat. The images are also very, very good and additional photography by Nicholas Seaton beautifully captures the atmosphere of the Testaccio quarter and its inhabitants. 2015 is already proving to be a very good year for food writing, and this book is right up there with the best. Now, I'm off to make Linguine con zucchine again, just to make sure I really have unlearned what I thought I knew, and because it's a delicious recipe. 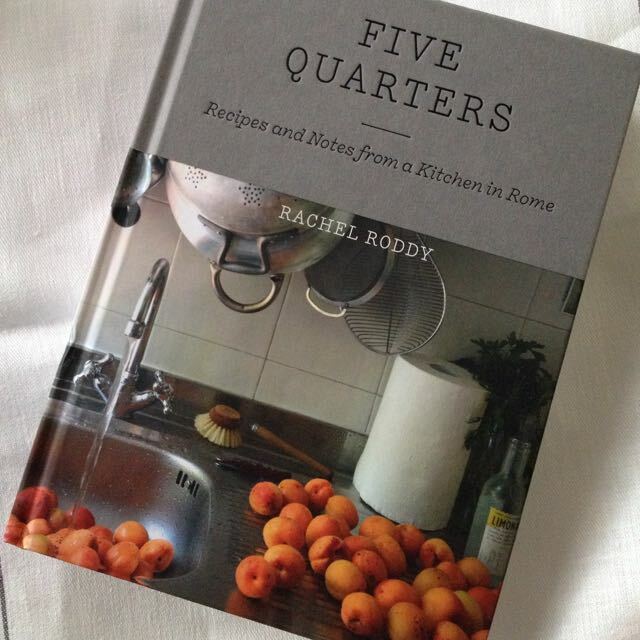 Five Quarters: Recipes and Notes from a Kitchen in Rome is published in Canada and the USA in early 2016 with a name change to My Kitchen in Rome: Recipes and notes on Italian Cooking. In the UK, this book has just been announced as Winner of the Andre Simon Food and Drink Book Awards 2015 in the food category.